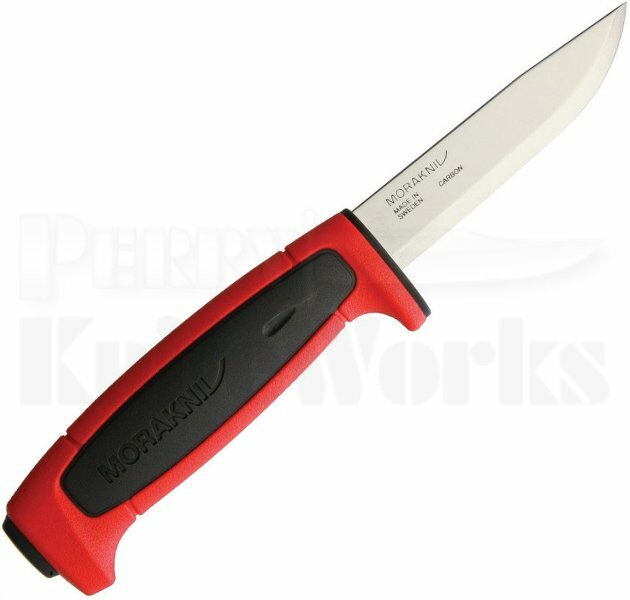 The Mora 511 Basic 125th Anniversary knife has a solid finger guard that optimizes safety and the new larger red & black polymer shaped handles makes the knife sit even better in your hand. The blade is made of high quality carbon steel, manufactured in Mora according to there secret recipe. The carbon steel also makes the knife easier to re-sharpen so you can use it over and over again. Comes outfitted with a red belt sheath with drain hole.